Do you want to encourage your family to learn how to connect, communicate and celebrate? Do you want some common sense tools to help you get unstuck? This book is a harvest of encouragement from a farm woman who has experienced the beauty, the bounty and the challenges of life on the prairies. This book is a true gift to rural families. 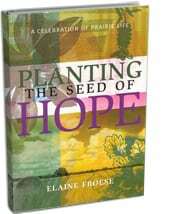 Elaine Froese has the genuine capacity to address the real issues of farm life today in a comforting, compassionate way. These vignettes of wisdom and inspiration will touch your heart and boost your spirit. Elaine Froese writes with intelligence, spirituality, and on-the-ground experience. This is sane, lucid writing that comes from a writer who drives a combine, goes for parts, and invites the neighbours over; a prairie woman who writes from the heart and reflects thoughtfully on the complexities of Canadian family life. 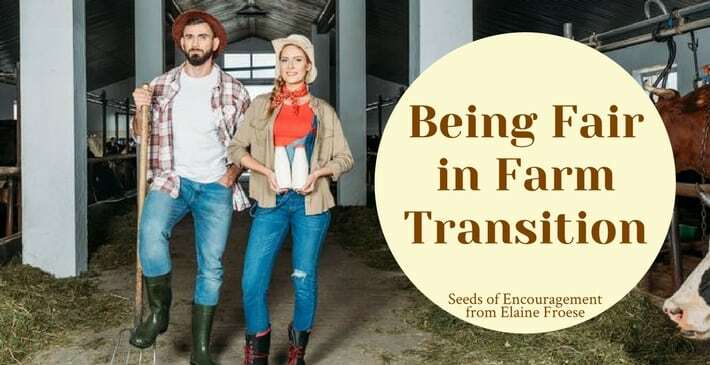 Elaine has a special gift of writing and caring for others, and reaching the farm population in a unique and meaningful way. There are two ways to use this book: put it in your library or put it in your life. Elaine’s practical approach will help you in your farming operation and personal life. A ‘must read’ for everyone in agriculture; it will change the way you think. As a farmer, consultant and motivational speaker, I found the book inspirational and useful. Buy the PDF version and instantly download it to your computer! All prices shown in U.S. funds. If ordering internationally your credit card will be charged in U.S. dollars and converted to your country’s currency on your credit card statement.